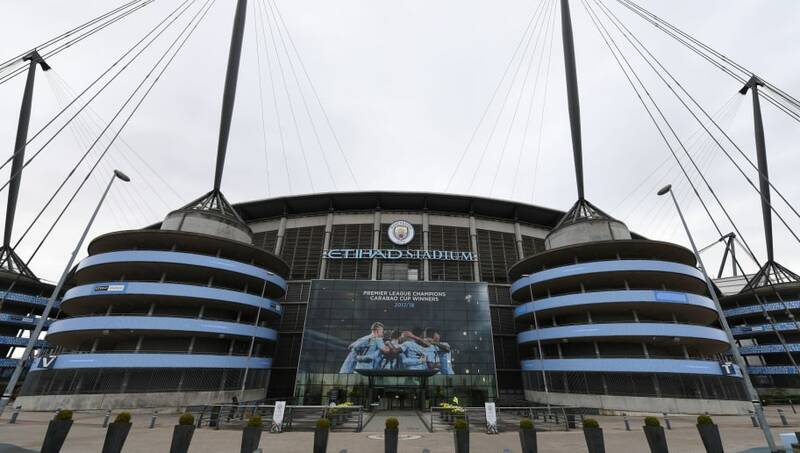 Manchester City could be hit with a massive transfer ban which puts them out of ​commission in the player market for two full windows, if the Court of Arbitration for Sport finds against them this week. The ​Mail report that there is 'serious concern' that CAS will rule against City in a case involving the signing of youngster Benjamin Garre, who his former club Velez Sarsfield claim was contacted illegally by City when he was just 15 and then signed only days after his 16th birthday. The ruling, expected in the next seven days, would put a major dampener on City's celebrations after Manchester United's surprise defeat to West Brom handed Pep Guardiola's men the Premier League title earlier than expected on Sunday. If the ban was put into place immediately and accepted by City, they would be unable to register and new players until the summer of 2019 - but the lengthy and convoluted appeals process would likely mean that Guardiola and co would have time to raid the market one last time before a more final 'final ruling' was made. Spanish clubs have been hit heavily by bans for signing international players under the age of 18 in recent years, with all of La Liga's 'big three' serving transfer bans at some point since the beginning of 2015. Manchester City are hoping that the fact that Garre holds an Italian passport - the reason FIFA originally ratified the transfer - will mean that the transfer is deemed legal, but Velez Sarsfield claim that rules allowing Under-18 players to move between clubs in Europe does not apply to South American clubs like themselves.